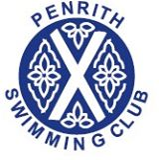 PENRITH Swimming Club members have continued to acquit themselves extremely well at the county age group championships. At Kendal, Allan Armstrong finished second in the 11 year boys’ 50 metres butterfly in a time of 36.53 seconds and Laura Huggon was third in the 10 year girls’ 200m freestyle in 2.59.43. The following swimmers were also placed in the top six: Allan Armstrong (11), fourth 200m freestyle; Danny Smith (15), fourth 100m breaststroke; Laura Huggon (10), fifth 50m butterfly; and Neil Goodman the men’s 100m butterfly. Naomi Smith, Victoria Curry, Daniel White, Rebecca Halliwell, Jennifer Bradbury and Kelly Bainbridge also represented the club and, almost without exception, recorded personal best times. At Barrow, Allan Armstrong finished third in the 11 year boys’ 200m breaststroke in a time of 3.26.52. Laura Huggon was fourth in the 10 year girls’ 50m freestyle, Michael Ellery was fourth in the 12 year boys’ 50m freestyle, Allan Armstrong was fifth in the 11 year boys’ 50m freestyle, Danny Smith was fifth in the 15 year boys’ 100m butterfly, Neil Goodman was fifth in the men’s 100m butterfly and Laura Huggon was sixth in the 10 year girls’ 200m breaststroke. Other swimmers representing the club who all recorded personal bests were Alex McLachlan, Rebecca Halliwell and Daniel White.